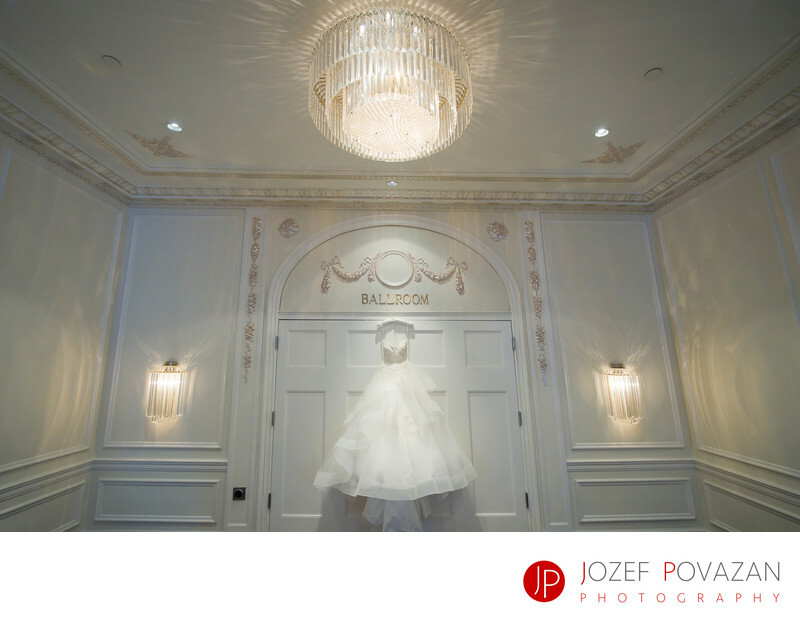 Rosewood Hotel Georgia Spanish ballroom wedding dress - Best Vancouver wedding photographer Jozef Povazan Photography studio. If you are looking for one of the best looking wedding venues in Vancouver look no further then Rosewood Georgia Hotel with their amazing and epic looking Spanish ballroom. It is all about location and this upbeat gorgers, modern and at the same time vintage looking jewell in the heart of downtown simply became one of the most sought after places for a great wedding party receptions. The Spanish ballroom is breathtaking yet even the other spots in the hotel are so beautiful you will want to have you pictures created there. Couple of them are Prohibition Bar, Promenade, Reflections lounge or simply Rosewood Bentley services where you can have your creative and unique wedding portraits done in more luxury way then you would think about. This venue offers amazing Tudor room for bridal getting ready and her dress hanging above the main entrance to the Spanish Ballroom will fascinate every other woman in the house who sees it hanging there. Perfection and uniqueness under one roof. What else do you need for a great wedding memories? Just enjoy it. Location: Rosewood Georgia Hotel Vancouver.